The sleekest, most powerful MacBook Air yet. 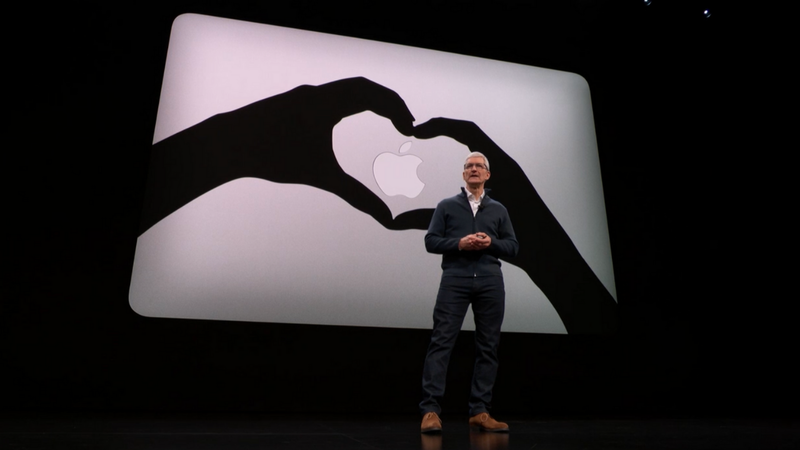 Today during Apple's Brooklyn hardware event, there were several surprises in store, including the announcement of a brand new MacBook Air that comes with a 100 percent recycled aluminum shell. The first refresh of its insanely thin laptop line has finally been announced, with several upgraded components including two USB-C ports, a 3.5mm headphone jack, as well as Touch ID and the T2 chip seen in last year's MacBook Pro and iMac Pros. It also includes a 13.3" display with a 50% narrower bezel, Touch ID, no Touch Bar, USB-C, and 720p FaceTime HD camera, and that's just some of its newest features. The redesigned MacBook Air will be priced starting at $1199, and you can order it today – with shipping starting next week.